Xposed Installer is an app that allows you to make small changes in your android device or your device operating system with the help of RootCloak APK. This installer is small but they’ll be working continue after restarting your device. But most important to help you to get the most out of any android device. Keep in mind before installing the Xposed Framework may cause some problems. The problems are not very common but if you’are not careful the from the app then the app can disable your android device and force you to reformat the device. So that you need to follow some simple instruction before downloading Xposed installer APK. Once you’ve installed this Xposed framework and have restart you android, check out all the different modules are available. You’ll be able to see all these different names and descriptions of more than 100 different options on your android app’s interface. Some of them allow you to change the color of your keyboard, while other let you disable the permission given to apps you already have installed in your device. This Xposed installer APK is an interesting tool for Android device users who want to take advantages of their device. On the other hand, Xposed Installer gives you the benefits of a customizable ROM without the dirty disadvantages. How to download Xposed installer APK/ZIP and How it install on your Android device? What is Xposed Installer APK/ZIP? Xposed Installer is an Android application that will help you to make the features and functionality of the Xposed framework available on rooted Android devices. If you download this Xposed Installer APK/ZIP and install it on your device, that wouldn’t be enough for this Xposed framework. It doesn’t have any functionality of its own. 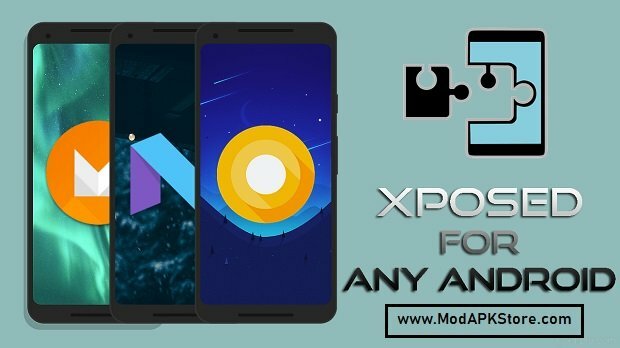 Although, after installing the Xposed installer on your device, you can go forward and install modules on your android device with the help of the Xposed Framework which can ultimately help you to increase the functionality and performance of your device. What are the Best Xposed Framework Modules? This module will remove any of advertisements from not only the regular YouTube App but also from the YouTube Gaming, YouTube Kids as well as YouYube TV apps. GravityBox helps the users to customize the looks of different UI elements of their android device. As an example, Using this GravityBox the battery status indicator icon, clock, widget and more can be customized. Ability to continue using applications even while receiving calls as well as display icons for screen recording or screenshot within the power menu. XPrivacy is allowed the user to customize the permissions that are granted to individual applications installed on Android devices. This is best for people who might want to block certain applications from accessing device data like as GPS location and more. Here are some requirements to complete before installing the Xposed Framework on your android device. Please make it sure that your android device has been rooted and recovery has been installed. Go to Settings >>> Security >>> Tick the checkbox and next to the option that says “Unknown Sources”. Check Below is a detailed step-by-step guide on how to download and install Xposed Installer APK/ZIP on your device. Download Xposed Installer APK from above. Connect your Android device to the PC and copy/paste the Xposed Installer APK to the internal storage of your device. Now, disconnect your Android device from the PC. Find and launch Xposed Installer APK. Once the installation complete, you will find the Xposed Installer app icon on your Android device. Launch the app to enjoy the Xposed Framework and modules.